Celebrate the journey to magic with this vinyl sticker from the Harry Potter film series! 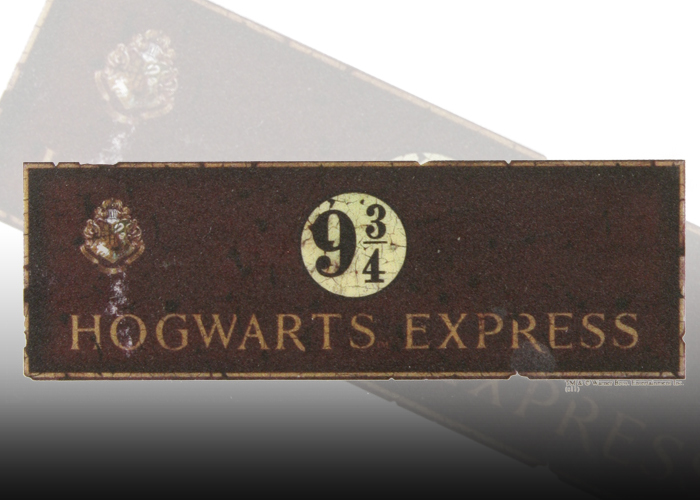 It features the platform sign for the Hogwarts Express and is even durable enough for laptops or car windows. Measures approximately 3.5″ x 1.25″.